Dogs running off leash is a regular occurrence throughout all of Philadelphia’s parks. Dogs are required by law to be on a leash within all city-owned parks, and for many good reasons. Northwest Philadelphia resident David Dannenberg was relaxing in his garden one evening, when an eight-point buck charged through his yard, head down, running on three legs. Close behind the deer was a small brown dog, who had chased it out of Carpenter’s Woods, part of Fairmount Park, and onto Wissahickon Avenue, where it was hit by a car. In January, Jeff Harbison of Wyndmoor was chased and bitten by two dogs off leash in Wissahickon Valley Park. The dogs are well-known neighborhood hazards who have attacked others in the area, and who had escaped from their home in the park. After filing a report with police, he was told that there is nothing they can do, but he is free to sue the dog owner. Dogs running off leash is a regular occurrence throughout all of Philadelphia’s parks. Although the Friends of the Wissahickon (FOW) cannot account for all instances of dogs running without a leash in Wissahickon Valley Park, FOW Trail Ambassadors documented at least 414 instances of dogs off leash during 251 patrol shifts of two to three hours each in 2015 alone. (Dogs on leash noted during these same shifts totaled approximately 133.) Maule recorded 288 instances of dogs off leash in the Wissahickon during his weekly hikes there throughout 2014. He also noted 78 piles of dog waste. None of this may seem important in a city facing serious challenges, but dogs are required by law to be on a leash within all city-owned parks, and for many good reasons. 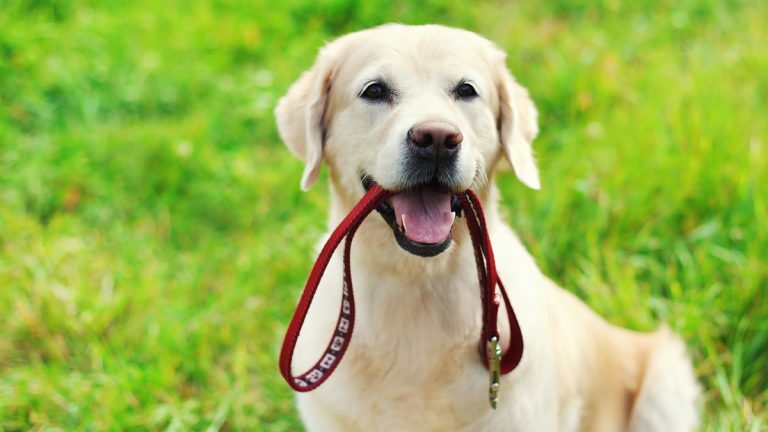 The city’s leash law requires all dogs to be on a leash no more than six feet long for the safety of park users, their pets, and wildlife, as well as the protection of the environment and water quality. The law applies to all city parks, and in the Wissahickon includes Forbidden Drive, the Andorra Natural Area, Carpenter’s Woods, and all hiking and biking trails. Keeping dogs on leashes protects our waterways, the natural environment, park users and the dogs themselves. When dogs are leashed, it is easier for owners to find and remove their dog’s waste, which, when left in parks, can be washed into streams and waterways. Pet waste contains high levels of nutrients and ammonia that are released when it washes into creeks during rain events. These pollutants reduce water quality and increase algae growth and reduce oxygen levels in the water, which is particularly harmful to fish during warm months when water temperatures rise. Keeping pets leashed when walking in city parks also helps protect fragile forest habitat, like that found in the Wissahickon, Pennypack, and Cobbs Creek Parks, to name a few. Dogs running off the trails damage plants and reduce the habitat available to wildlife, especially ground-nesting birds. This is of particular importance given that Fairmount Park was designated an Important Bird Area by Pennsylvania Audubon in 2005. Dogs running off leash can prove dangerous to park users, dogs, and other animals. If a dog startles a horse, it may be kicked and injured, and the rider may be thrown and injured or even killed. A dog could be hit by a biker if it runs across his/her path, injuring the dog and biker. Dogs off leash are more likely to fight with or chase other dogs or animals, including deer, leading to severe injuries or fatalities for both. Even a friendly dog can injure elderly or very young park users if allowed to jump and run freely. With a leash, a dog owner can remove their pet from such dangerous situations. Dog owners who leash their dog can also reduce their pet’s exposure to deer ticks, which carry Lyme disease, and wild animal populations that can carry rabies. Dog owners may be fined or held responsible for damage or injury caused by their dogs by police officers and park rangers. But with city resources stretched thin, their ability to enforce park regulations is minimal. FOW volunteer Trail Ambassadors do their best to educate park users on using dog leashes, but cannot enforce park regulations. Park Rangers can issue tickets, but with only a limited number patrolling city parks, it is impossible for them to enforce park rules effectively. It is up to all of us to be responsible pet owners. Maura McCarthy is executive director of Friends of the Wissahickon.